LazyMirror is a free mirror software that can automatically backup folders and files to another local backup drive or across the network. You can set timer and schedule the backup operation and set it to run when Windows Starts. You can run a manual scan for the backup when you wish to and check the logs for the backup. LazyMirror can backup Windows Registry and is pretty fast at what it does. It saves you from the frustrating situation when your hard disk crashes or you delete the data in error. Set filters and decide what you want and what you don’t want to backup. It runs smoothly even on the old version of Windows. Data on papers (hardcopy) is vulnerable to the Wrath of God. “Come on that’s not gonna happen”, you might say but it can and that’s why we have backups. But, we have backups for data on the disks too. It’s no different and no exceptions there either. It can disappear from there in a jiffy, and if you don’t have a backup then it makes the situation worse. So much for the hair fall problem, you start tearing you hair off your scalp when you lose your important work. So, we will talk about a free data mirror software that is going to backup all your data automatically without you even knowing that it’s happening. LazyMirror does exactly what we were talking about. Lets discuss some of its features and how it can be useful for an average computer user. We’re going to keep it simple and complications out of the door. After the installation (that ain’t hard; download and click “Next” a couple of times), we would have to decide what we have to backup and where to dump it. This is done in the Mappings section under Configuration Dialog Box. This image below is going to enlighten you. What to backup and where? Mappings Tab allows you to choose the folder or file to backup from and select the destination where it should save it. LazyMirror is smart enough to save the changes and not the entire file. This means, ones the files (or folders) are copied, it will keep a check on the changes done to the files and copy only what’s new in the file (any addition or deletion done to the file). This is because copying the entire file would take time. This process is termed as Differential Back. Check out this wonderful article about Differential Backup. Now to add something we just have to click on the row, under the “source section” and select the files or folder (one item in each line) and choose the destination where you want to save it. The source and destination could be anything actually, like a file, folder, or a drive as well. The source or destination is not limited to just your computer but you can choose another computer on the network as well. Backslashes tell the software that it’s a shared folder on the network you want to access. The bunch of numbers you see there is just the IP address. Think of it as your computer’s telephone number. You have to separate the share’s name (folder on the network) with a ‘\’. Now type in “sysdm.cpl” without quotes and click on “OK” button. You will see the System Properties window. Now you can look for the Computer Full Name. Isn’t that simple? You can tell LazyMirror what to back up and what not to. This is simple. Once we get to the “Filters” tab under the Configuration Dialog Box, you can specify the file types you want to include or exclude. To specify the file type you can use the * (asterisk) wildcard. By the way, an asterisk when used as a wildcard, means anything can take the place of the asterisk. It would be great if this mirror software can automatically backup the data for you, wouldn’t it? It can automatically backup the data for you provided you tell it to. You can specify the time delay in minutes and it will automatically run a scan for the changes in the files and automatically backup the data for you. You can also tell LazyMirror to start-up automatically when your computer starts. These are just some of the options of this free mirror software. There are lot more options that you can use to explore and customize this software further. LazyMirror is an excellent mirror software and because of the features it offers you to customize it according to your requirements, it can be a good option for you to backup your data. You can schedule the backup and archive it on a network share. 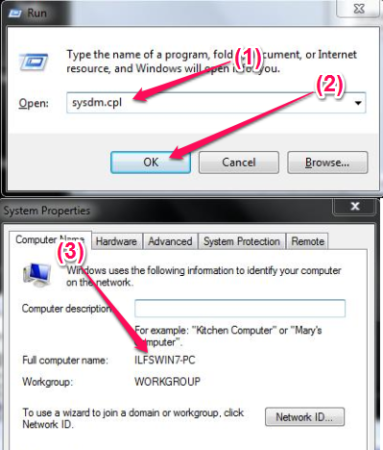 LazyMirror it can help you in dealing with unexpected hard disk crashes or a deletion in error. No doubt there are Cloud storage clients that can backup your data on the could server via the internet. But, you can still use this free mirror software to get hold of the data in case of a network outage (think about Armageddon).